ABS-CBN Publishing joins the 2017 Philippine Readers and Writers Festival led by National Book Store with three exciting and valuable talks for aspiring writers – “How To Engage Your Audience Online,” “How To Write For Films,” and “Writing for Millennials: Content that Catch Attention” – all happening on Friday(August 25) at Raffles Makati. 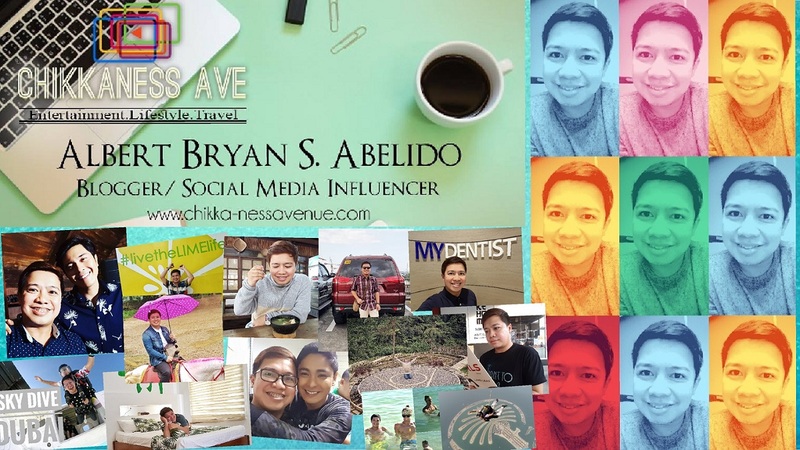 CineMo’s “Lakas Tawa” actor and comedy writer Alex Calleja, known for being Laugh Factory's Funniest Person in the World 2016 finalist, will be joining radio personality and online influencer Lloyd Café Cadena, and dubber Kara Karinyosa as they talk about ways on “How To Engage Your Audience Online” at 9:30am to 10:30am. 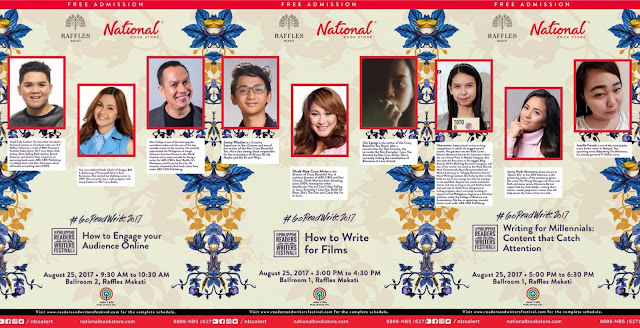 Director Mae Cruz-Alviar, who directed blockbuster hits “Can’t Help Falling In Love,” “Bride for Rent,” and “Everyday I Love You” will share tips on “How to Write For Films” at 3pm to 4:30pm. 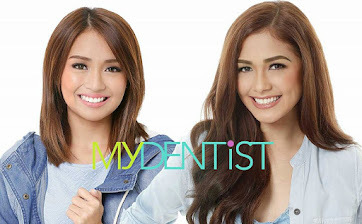 She will be joined by Star Cinema’s creative supervisor Jancy Nicolas, and screenwriter and “Crazy Beautiful You” novel author Iris Lacap in this exclusive discussion. 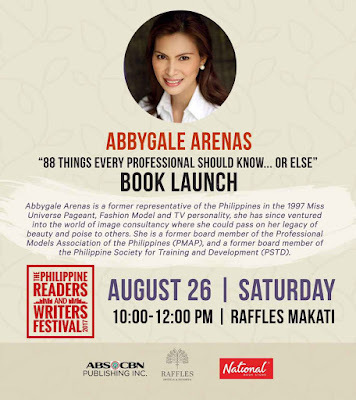 Jenny Ruth Almocera, more popularly known as Queen Elly who wrote the “Vice & Kath” series, will lead the “Writing for Millennials: Content that Catch Attention” talk at 5pm to 6:30pm together with Palanca award-winning author Charmaine Lasar, and Jamille Fumah, one of Wattpad’s most popular romance fiction writers. 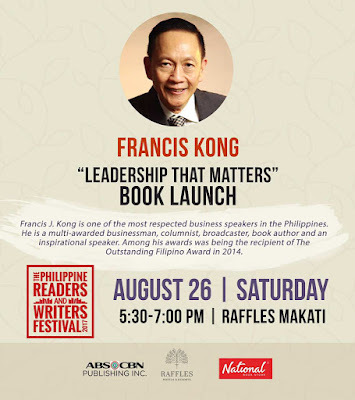 Aside from these writing talks, ABS-CBN Publishing is also set to launch newly published books at the three-day annual festival that features bestselling international and local authors, book signings, discussions, and a wide-ranging spectacle of books and literature. 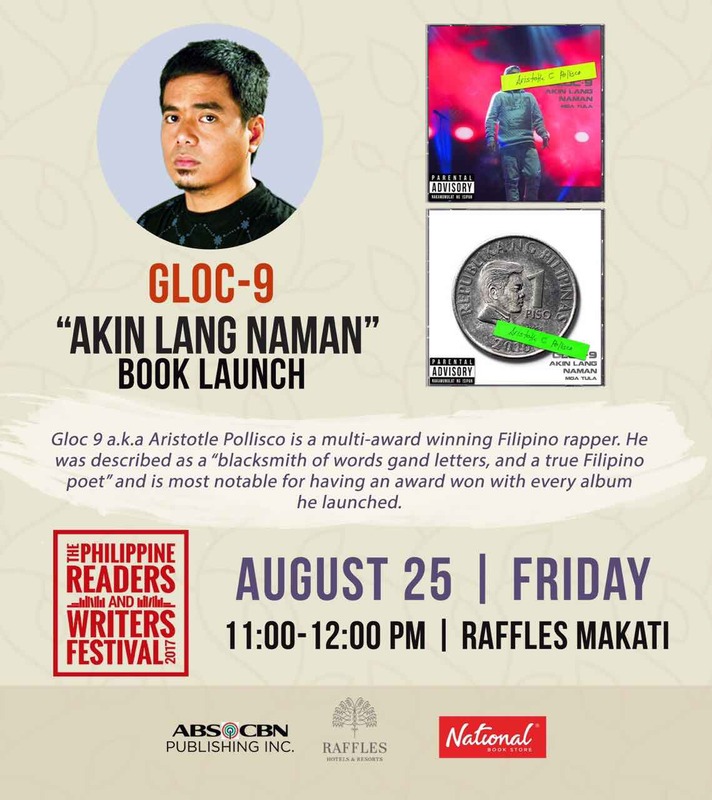 Multi-awarded Filipino rapper Gloc 9 will be unveiling his “Akin Lang Naman” poetry book on Friday (August 25) at 11am. 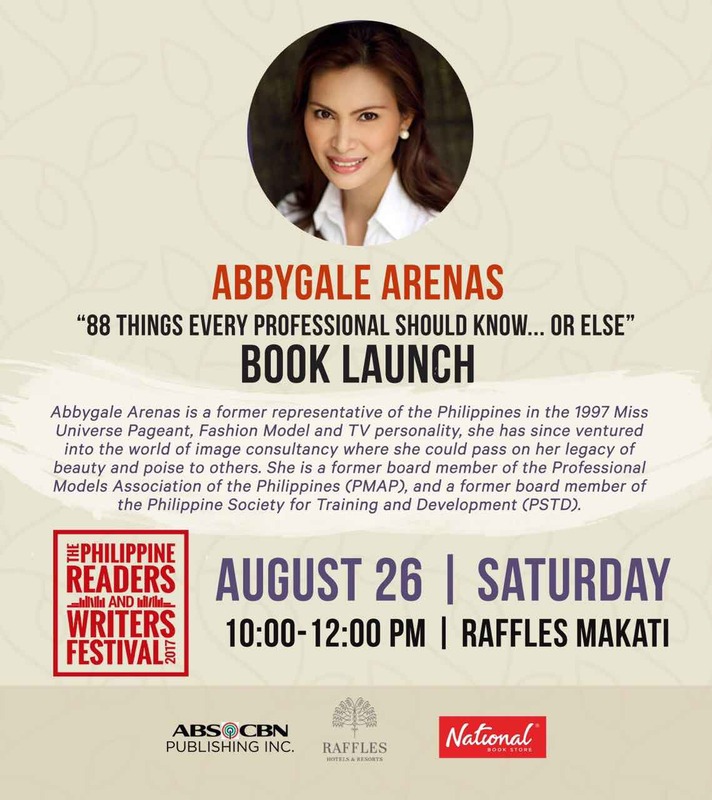 Beauty queen and highly respected image consultant Abbygale Arenas, meanwhile, will share inside stories about her “88 Things Every Professional Should Know… Or Else” manual on Saturday (August 26) at 10am. 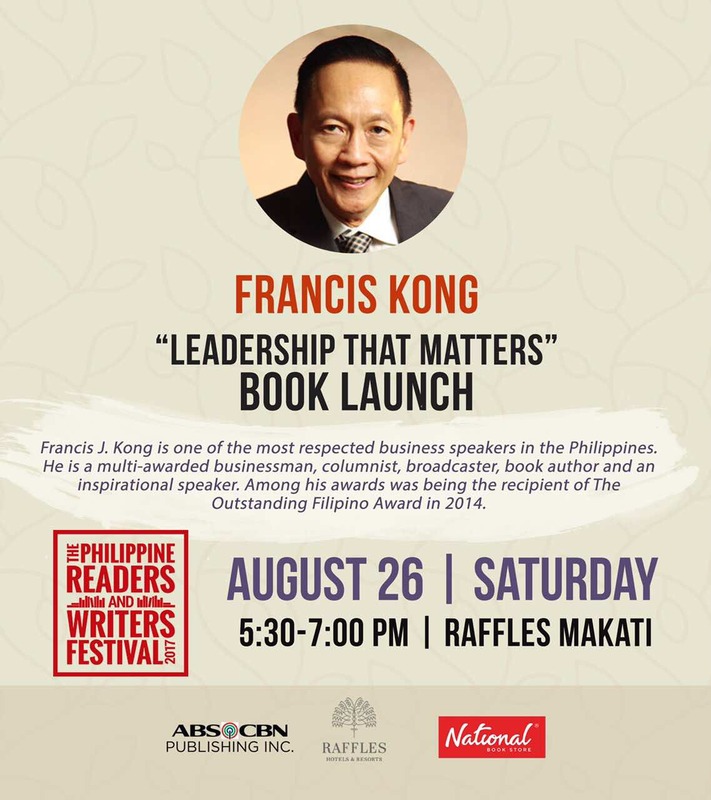 Francis Kong, one of the most distinguished business and leadership speakers in the country, will present his “Leadership That Matters” book, also on Saturday at 5:30pm. 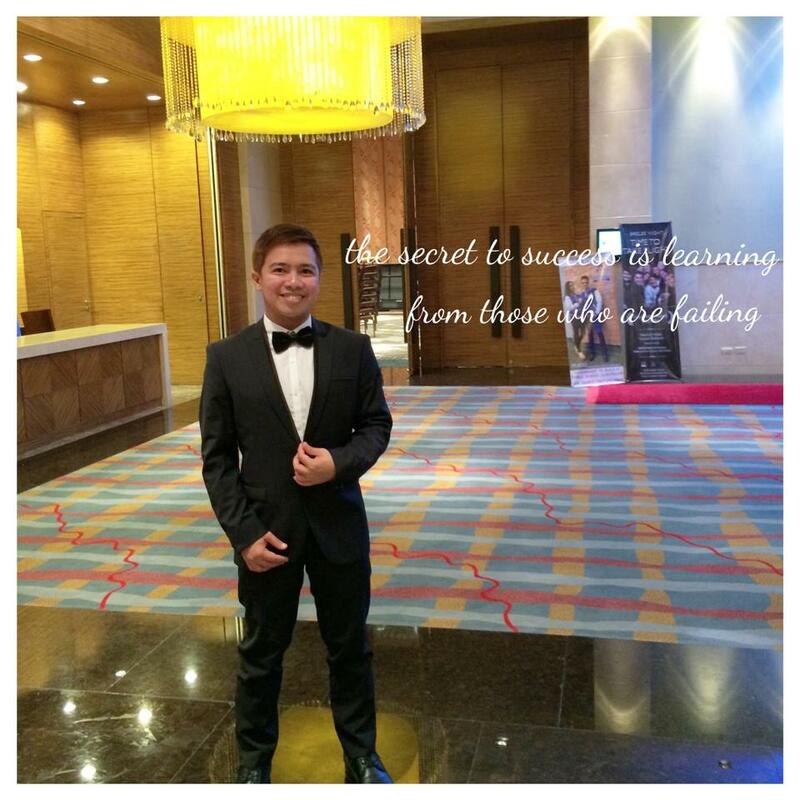 ABS-CBN Publishing is a magazine and book publisher and a wholly owned subsidiary of ABS-CBN. 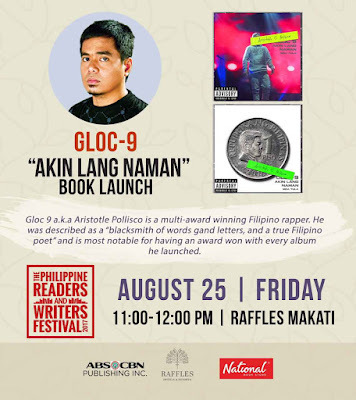 Aside from a variety of fiction and nonfiction books, it includes lifestyle, culinary, youth, and entertainment glossies in its portfolio.